With 2019 finally in full swing, it’s time to take a look at some of the best healthcare jobs for this year. Whether you’re just getting into the medical field, or looking to transition into a new specialty, it’s important to take a look at some of the top jobs on the market. It’s also a good way to see just how your medical career stacks up against the others! Below we’ll take a look at some of the best allied health jobs for 2019. With a median salary of over $80,000 and an unemployment rate under one percent, it’s no surprise that one of the best healthcare jobs of 2019. Actually, according to U.S. News and World Report, occupational therapy jobs are the 11th most popular healthcare job for 2019. Occupational therapists work with patients to build or restore their abilities to perform the daily tasks of life. Occupational therapists will help patients recover physically. They will also ensure that the patient is recovering mentally and emotionally as well. An occupational therapy job is one of the best allied health jobs for 2019 and should certainly be considered. Physical therapy is very similar to occupational therapy. Both careers are focused on helping a patient rehab a specific injury or ailment. They make a little more than occupational therapists mainly because the demand for physical therapists is so high. As our population ages, so will the number of injuries that occur. This means that the demand for physical therapists will rise as well. Demand for these health professionals is expected to grow by 28 percent in the decade preceding 2026. Unlike some other health professionals, physical therapists are often able to make their own hours, choose their clients, and are more likely to be self-employed. 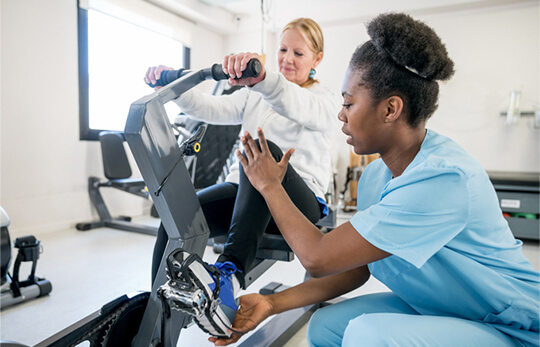 This makes physical therapy one of the best allied health jobs for 2019. Ultrasound technicians or diagnostic medical sonographers often find themselves working closely with physicians on a daily basis. Despite not making as much as a physician, the job outlook and minimal time spent in school make this one of the best allied health jobs for 2019. Demand is expected to rise over 17 percent within the next ten years. This is a great career to pursue those looking to put in minimal schooling. Ultrasound technicians also have the opportunity to work in a variety of different settings as well. We’ve already hit on the high demand for physical therapists, so it should be no surprise that there are plenty of physical therapy assistant jobs as well. The median salary for this career comes in at $46,920. Demand is expected to grow by a whopping 30 percent through 2026. This career also opens up the opportunity to make the PTA to PT transition in the future. Many PTAs will decide to make the jump so they can make more money and have more flexibility when it comes to scheduling. As medical technology advances at a rapid pace, we’ll need more and more medical professionals who are able to decipher the data and pass on the information to others. This career does require a lot of schooling and will certainly be a very intense education. However, it’s a great job for those who want to be involved in a medical career that does not exactly involve dealing with patients. When it comes to the best healthcare jobs for 2019, a clinical lab technician might be the perfect job for you! Are you interested in any of these jobs? You’re in luck! Check out the thousands of jobs we have available right now! What are you waiting for?